Pure Adapt, Inc was founded in 2006 by a group of friends who shared a commitment to hard work and developing good ideas into thriving businesses. Located in Albany, NY, Pure Adapt has designed, developed and operated many successful websites in a variety of industries. For each site we do all of the work in-house: from concept to design, development, deployment, search engine optimization, web marketing, order fulfillment, and customer service. This allows us to have tighter control over all of our business processes and ensures that every aspect of our company meets our high quality standards. Striving to make each business more efficient and scalable is a driving force in many of our decisions, which demands innovation and constant refinement. Today Pure Adapt, Inc. is owned and operated by the three principal owners: Michael Li, Adam McFarland and Greg Pautler. 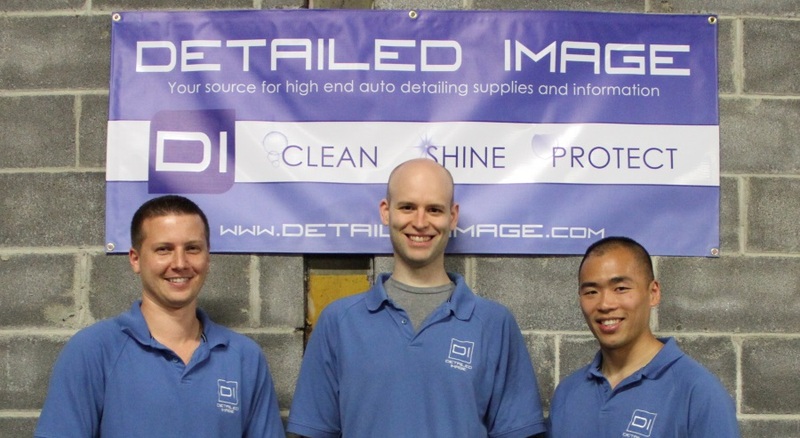 Our primary focus is Detailed Image, an online retailer of high quality car care supplies. Our business is entirely self funded which allows us to make changes that we feel are in the best long term interest of the business, instead of satisfying short term goals or an investor. As the owners and operators we take great pride in our company's ability to adjust quickly to changes in the industry, new technologies, and opportunities for growth. We feel strongly that giving back to the community is a responsibility for any successful business. You can see a list of our community activities on our community page. Great communication and mutual respect is critical to any kind of relationship, and that is no different at Pure Adapt. While each owner has their own distinct personality, we get along great which has been a major part of our success. We disagree respectfully at times, but ultimately we are all friends working towards the same goals with no egos involved. We have several great employees that we enjoy spending time with at work and outside of it. Adam and Mike grew up as neighbors and good friends, while Greg lived only two miles away. We all attended the same schools K-12. More importantly, we share a lot of common core values that have allowed us to build a happy and cohesive workplace culture emphasizing hard work, creativity, civic responsibility, and excellence in all endeavors. It's fair to say that our sites span a wide range of subjects, but they are a direct reflection of our diverse interests and skill sets. Michael has a degree in Business with a concentration in Finance from SUNY Albany to complement his skills in accounting, graphics design, and web design. Adam has a degree in Industrial Engineering from Rensselaer Polytechnic University and is proficient in web development, operations management, search engine optimization, and web marketing. Adam and Mike are natural problem solvers, which has led to the creation of many of our sites, some of which were remarkably created during a productive weekend. Greg brings a Bachelor's Degree in Marketing Management from Siena College and a Master's Degree in Business from Union College with a focus on marketing, management, advertising, customer service, human resources, and his experience from operating Detailed Image's former detailing service. All three of us are still very active and huge sports fans, which explains why we've built so many sports sites. Thank you for visiting and we hope you enjoy our sites!